Jitterbug’s phones and no contract plans provide seniors with a hassle-free cell phone experience, whether their preference is a smartphone or a basic phone. Their two models, the Jitterbug Smart and Jitterbug Flip, both offer user-interfaces that are clean and simple to navigate. Besides calling and texting functions, these phones contain all the convenience features of the latest cellphones like having a camera, bluetooth connectivity, storage for pictures, and much more. Jitterbug phones work with Great Call’s no contract phone plans that start at under $20 a month. The phones are designed to work with Great Call’s Health and Safety apps, including the 5Star Urgent response service (at extra cost), with live monitoring agents ready to assist their senior customers 24/7. Let’s start by taking a look at the pros and cons of Jitterbug phones and plans, and then go into a more detailed review. The interface of Jitterbug cell phones are friendly for seniors and customers who prefer a more hassle-free cell phone experience. Jitterbug’s phone interfaces make it easy to do various tasks on both the Jitterbug Smart and the Flip, such as dialing phone numbers, texting, taking pictures and more. Jitterbug cell phone plans have no contract. Customers are given the choice to purchase small, medium or large bundles of minutes and texts to build a plan that suits their usage requirements. A small bundle of 200 minutes and 300 text messages a month costs around $18. There are also options for unlimited talk and text plans. Prices quoted are before taxes and fees (all prices quoted in this review are before taxes and fees). With the push of a the red 5Star button, the customer is immediately connected to a trained emergency monitoring operator who can help them. This provides a way for seniors or customers with health challenges to get help as quickly as possible in case an unexpected emergency develops. The is an online dashboard or app that customers and authorized relatives and caregivers can login to. It stores important information like contacts, emergency contacts, medications and more. Authorized caregivers can help their relative or patient by adding the relevant information, in case they unwilling or unable to do it. Great Call link also allows authorized users to stay connected with the customers in a low-key manner. Various signals from the Health and Safety apps are registered in the system and can be viewed through the app. They can be alerted if the customer pushes on the 5Star Urgent Response button. Jitterbug phones are GPS-enabled for locations tracking. Through Great Call Link, authorized users can check into the location of the customer. This is especially helpful in cases of customers affected by Alzheimer’s Disease or mild cognitive impairments that make it cause them to wander off the track and become lost. Jitterbug phones work off the Verizon network. This is considered by many to be the top network in the US for its coverage and dependability. Customers has only 2 choices of phones – the Jitterbug Smart or Jitterbug Flip. This is no Bring Your Own Phone option. Jitterbug plans are not the cheapest, but they are reasonably priced. Access to Health and Safety applications like Great Call’s 5Star personal emergency response help or Great Call Link costs extra, from $19.99 to $34.99 per month. If you are looking for cheaper options, there are other companies to choose from. For customers who do not use their phones much, TracFone offers service for less (as low as $7/mo). For customers who need to call or text very often, there are pay as you go plans that provide unlimited talk, text and 5 GB of data for under $40 a month. The catch with going with other less expensive providers is that their phones lack some of the features that Jitterbug has. Jitterbug phones are products of Great Call, a company based in San Diego, California. The company provides mobile health and safety solutions for senior citizens and their families. Their flagship products are the Jitterbug Smart cellphone and Jitterbug Flip. The premise of Jitterbug cellphones is to enable seniors and other customers to have a phone that is easy to use. In addition, they also allow customers to join in the internet and social media world effortlessly if they so choose. One aspect that separates Jitterbug products from other cell phone companies is the inclusion of personal emergency monitoring services. Traditionally, medical alert devices like a Life Alert button are separate products, but Great Call has incorporated the concept into the cell phone. Jitterbug phones operate on Verizon’s CDMA network through a Mobile Virtual Network Operator (MVNO) agreement. Verizon’s network is consistently rated at the top for its coverage and reliability. This provides assurance to customers or prospective customer who are not familiar with the Great Call brand name. Jitterbug phones are designed to work through Great Call’s service plans specifically. They must be activated through Great Call to work. Be that the case, Jitterbug phones are not locked to Great Call’s network according to their support personnel. We have little feedback in regards to how well Jitterbug phones operate on other networks, including using it on Verizon directly. 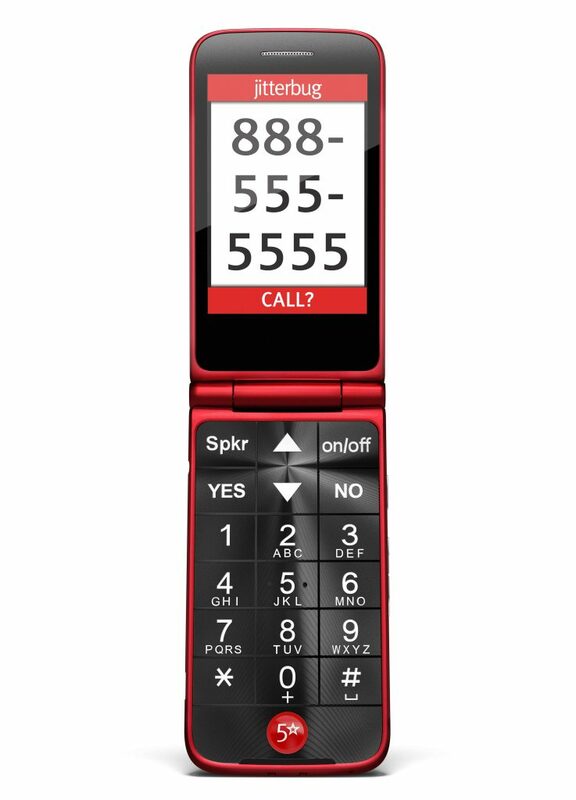 Besides cellphones, Great Call also provides other products that allow seniors to live independently and safely. For seniors who do not like to carry cell phones, or who prefer to separate cell phone use from emergency and safety monitoring, Great Call also makes a small wearable medical alert button device called the Lively, and a watch called the Lively Wearable. Most of Great Call’s Health and Safety services are available through either their phones or through the Lively device. In addition, the mobile Lively alert device will do automatic fall detection emergency calls as a premium option. Great Call produces 2 types of cellphones – the Jitterbug Smart and Jitterbug Flip. 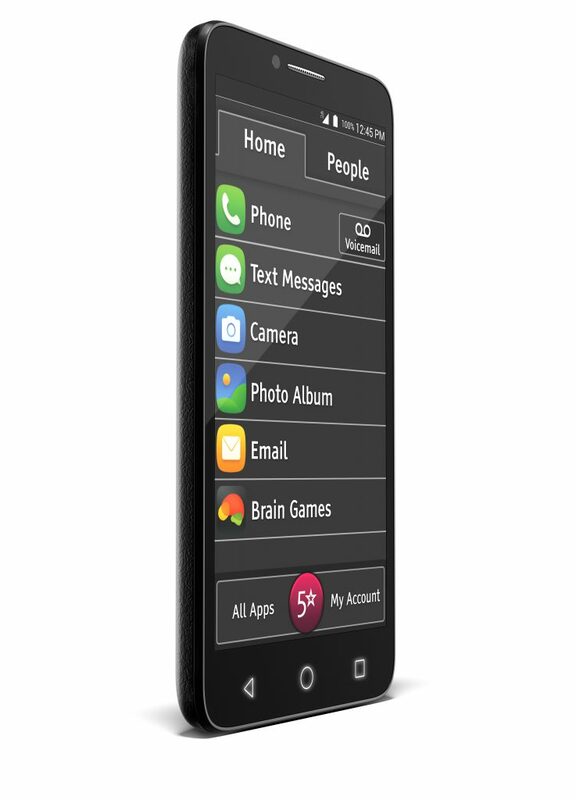 The Jitterbug Smart is a thoughtfully designed Android 4G LTE Smartphone for the silent generation or boomers who want to comfortably use a smartphone. The typical touchscreen menu of smartphones usually have too many icons of small sizes and sub-folders that can befuddle many, not just the elderly. The large slots showing various apps of the Jitterbug smartphone makes navigation easy even if one’s hands get slightly shaky. The phone is wifi enabled, so customers can browse the web without using up their data. It has long-lasting battery life that enables you to stay logged-on social media or just for internet browsing for hours. 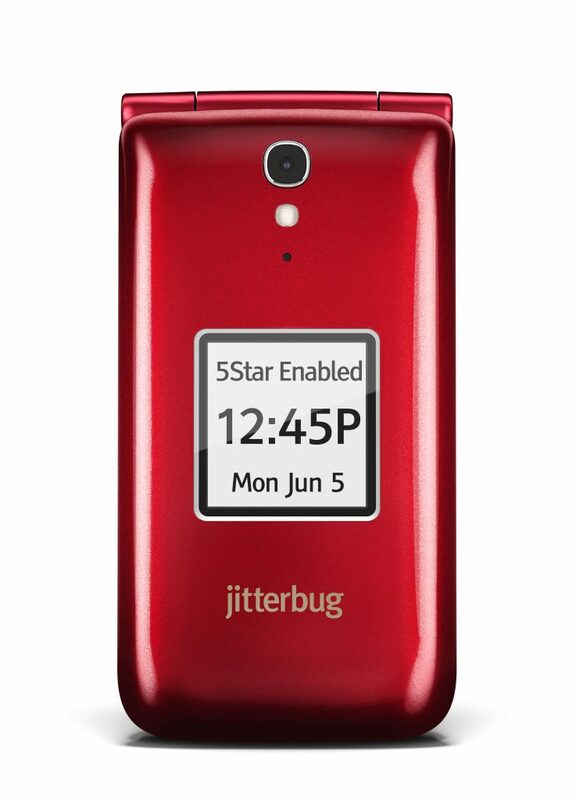 The Jitterbug Smart offers customers a good sized-screen (5.5″) and displays with good contrast. This phone has a 720 x 1280 px resolution. 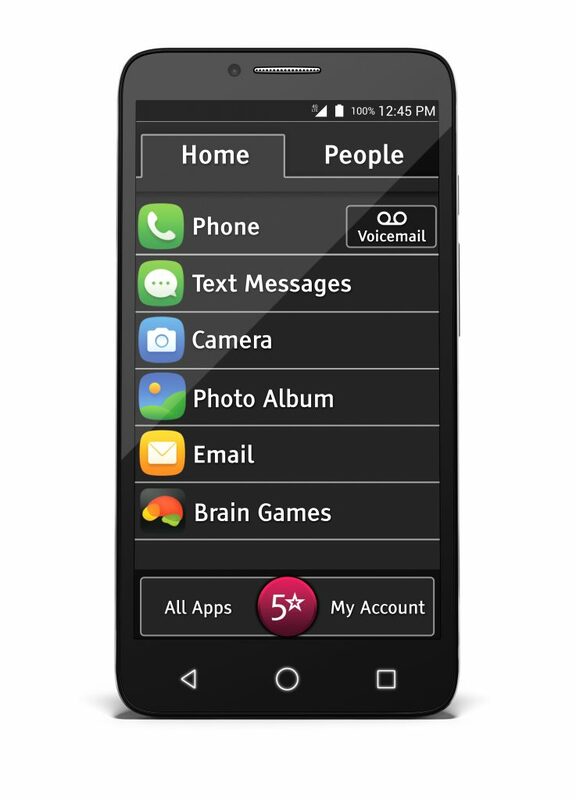 The phone offers a simple menu for easy viewing and access to features like calling, texting, email, photos and apps. The Smart phone has a 5.0 MP (megapixel) camera with built-in flash for capturing memories. For capturing selfies, the phone comes with a 2.0 MP front camera. There is a speakerphone feature for handsfree conversations. For those with difficulty in using keyboard, voice typing is enabled. This phone is compatible to most hearing aid devices. It is also bluetooth v4.0 enabled. In terms of memory, there is 8 GB of storage, with a portion occupied by the operating system. There is a microSD slot that allows for an additional storage capacity of up to 32GB. 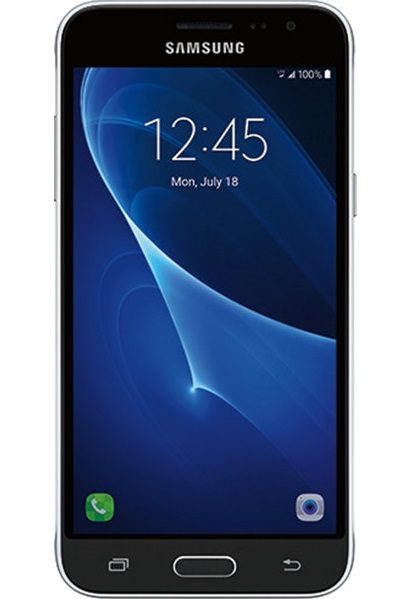 The phone has built-in Android applications such as Facebook. However, customers can also download more applications that suit their needs directly through the Google Play Store. To keep abreast of your talk, text and data activity so that you stay within your plan usage limits, the Jitterbug Smart comes with a Usage Meter shows the talk, text and data levels. The Jitterbug Smart comes in black only. When purchased from the company, the package comes with a Wall Charger, USB Cable and User Guide. Flip phones are known to be intuitive to use and hardy. The Jitterbug Flip offers broad appeal to seniors, and many others who prefer a hassle-free and no-frills phone experience. The Jitterbug Flip is sleek and modern-looking – reminiscent of, but fresher in design, to the classic Motorola Razr. The Jitterbug Flip has very easy-to-use, large and flat keys that make dialing and menu navigation easy. It comes with a very simple Menu with Yes and No buttons, which makes the navigation clear. The Yes and No keys stand in place of the usual green and red phone icons for dialing. It eliminates and simplifies on the more traditional way of having separate OK and back keys. This phone has 2.0 MP camera with flash. Other convenient features include a flashlight and reading magnifier. The reading magnifier comes in handy when reading food or product labels and menus. The Flip is also M4/T4 hearing aid compatible and will accommodate 5Star and other health and safety services if they are subscribed. One customer noted that there is a hole in the corner of the Flip phone to place a lanyard through. This was very helpful for the customer. It provides extra convenience for seniors and customers who prefer to wear their phone using a neck lanyard. The Jitterbug Flip is available in red or graphite (grayish). The official package should include a USB cable, charging dock or wall charger. 3. Data package (from 40 MB – $2.49, 100 MB – $5, 200 MB – $10, 500 MB – $15, 1 GB – $20 …). Does not apply to the Flip phone. 2. Health and Safety Package (from $19.99 to $34.99). When this is subscribed, there are discounts on the Minutes Package (up to 50% off) and price breaks on the Unlimited plan options. There are no contracts when you subscribe to Great Call. All plans cover voicemail, call waiting, caller ID, long distance and roaming. The following plan comparison tables present comparisons of various Jitterbug phone plans having different Minutes, Text and Data package configurations. These plans below have no data and are applicable to both the Flip and Smart (except as indicated). For data plans and unlimited Smart phone Plans, see Table 2 below. Unlimited Talk & Text for Flip Only 49.99 – Unlimited talk and texts Flip phone plan. For Smart phone plan, see table below. Cost of Unlimited Talk & Text (for Flip only) with $24.99/month Healthy and Safety Plan = $64.99/ month. See table 2 for Smart unlimited plans. When customers add a Health and Safety package, they can get the Flip Unlimited Text and Talk plan for $40/mo instead of $49.99/mo. Up to 50% off the minutes packages when a Healthy and Safety Plan is subscribed. More text package options are listed below. Based off customers paying $6 monthly for their text plan (700 texts). These plans are applicable to the Smart Jitterbug phone only. For Flip plans, see Table 1 above. Smart Plan costs $49.99/mo for Unlimited Talk, Text and Data with any Health and Safety package (From $19.99 to $34.99/mo). All smartphone and flip phone plans are no contract. Plans and pricing may change over time, so please refer to the official Great Call website for their most current plans pricing. If a “No Text” plan is selected, a $0.10 per text or photo message sent or received is charged. Additional minutes over your plan allowance are $0.35 per minute, text or photo messages over your plan allowance are $0.10 per message sent or received, and data over your plan allowance is $0.10 per megabyte. Roaming and international transactions also have charges. Customers get to choose the combination of Minutes, Text and Data they need according to your usage. For example, a plan for the Jitterbug Smart can be as follows: 200 Minutes costing $14.99, 300 Texts costing $3 and 40MB Data costing $2.49. The total cost is $20.48 monthly (taxes and relevant fees apply for all products and plans). There is also a one-time $35 activation fee. Great Call offers Unlimited Monthly Talk and Text with 100MB of Data included for $49.99 monthly for the Smart cellphone. The Data becomes Unlimited with any Health and Safety Package added (from $19.99 to $34.99). For the Flip cellphone (without Data), an unlimited talk and text plan costs $49.99 monthly. The cost drops to $40 monthly when a customer subscribes to a Health and Safety package. Some of these health and safety services include calling and texting to be delivered, and use of these minutes or texts will be deducted from the monthly plan package allotment. Some senior customers or their family members described problems activating their Jitterbug phone for the first time. A few also indicated that the customer service person that spoke to them seemed really interested in up selling them to additional plans and services. Great Call does indicate that they want to make sure that all their customers are informed of the choices of services or plans being offered. A few customers reported problems with getting good cell phone reception in their area for their Jitterbug phones. This was despite the strength of the Verizon network. One customer indicated that even though a preliminary inquiry showed that there was going to be coverage in his local area, he was unable to establish a network connection in practice. A few customers also complained about the amount of taxes and fees that were added on the monthly bill. It turned out to be higher than they expected. To sum things up, Jitterbug offers good, easy-to-use cell phones and plans for seniors and others who seek a hassle-free cellphone experience. Not only are their phones specially designed for their elderly customer base, they also incorporate proprietary apps for health and safety monitoring. Their 5Star emergency response button app connects customers to live operator help 24/7. For family and caregivers, the Great Call Link app provides peace of mind because it links them to their family member or patient by possibly sharing related to everyday movements and more. Jitterbug may not have the cheapest phone or plan, but it’s reasonably priced for the unique, critical features that it provides. It’s worth a good look into if the ease-of-use and health and safety monitoring features appeal to you. Visit the official Great Call Jitterbug Phones website. Limitation: We make every effort to share the most accurate information on this site but we cannot provide any warranties on this content. Plans and pricing change without notice. Please always do your own verification to make sure.